Here’s another trip that falls in the gray area between the categories of US Travels / Local Adventures for me. 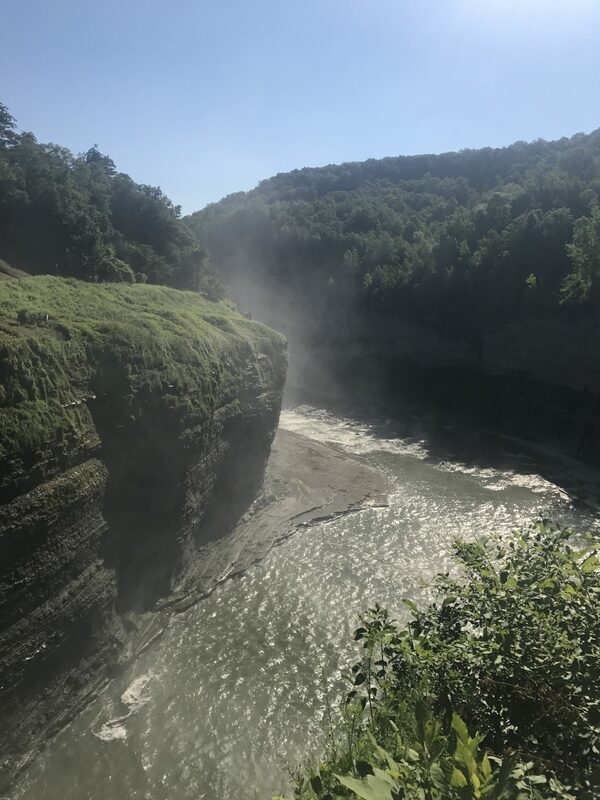 Letchworth State Park is in Castile, NY only 1.5 hours from Buffalo. Super reasonable day-trip for a couple friends and I on July 5th (or any day really)! We had some trouble finding the lot we were supposed to park in for this trail. The roads are a little windy and confusing but there is a visitor center with maps you can make use of. Ironically as soon as we realized we were lost, a song came up in my friend’s car by one of our favorite bands, The Tea Party called ‘Into the Unknown’ and we could think of no song more appropriate to listen to while being lost in the woods. HA. This was a minor detail though, and we did eventually realize we were going the right way the whole time, it just seemed wrong. 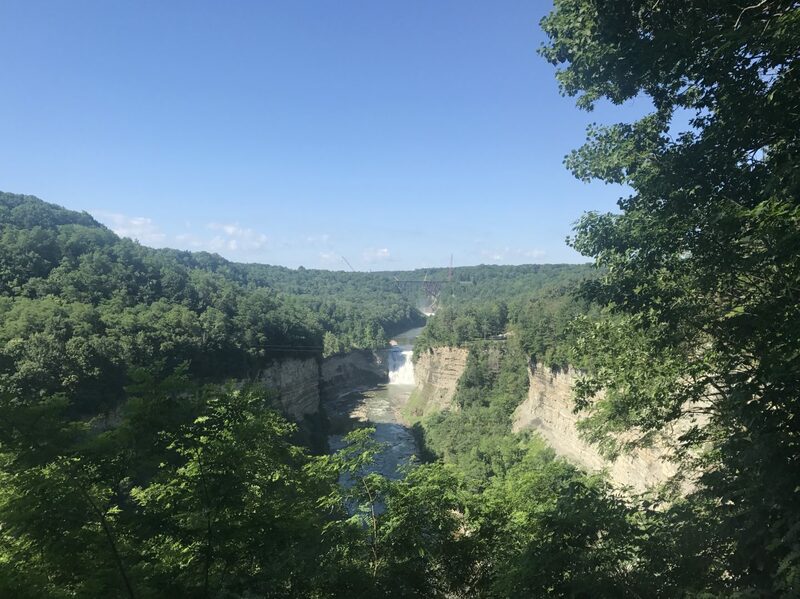 Once we finally arrived, we started at Trail 1 which is the Gorge Trail at Letchworth. This trail is 7 miles long and is considerate moderate. It had been a while since I had ventured out this way and I completely forgot what I was missing! Once you get there, its very easy to see why it’s deemed the “Grand Canyon of the East.” It is really that awe-inspiring. 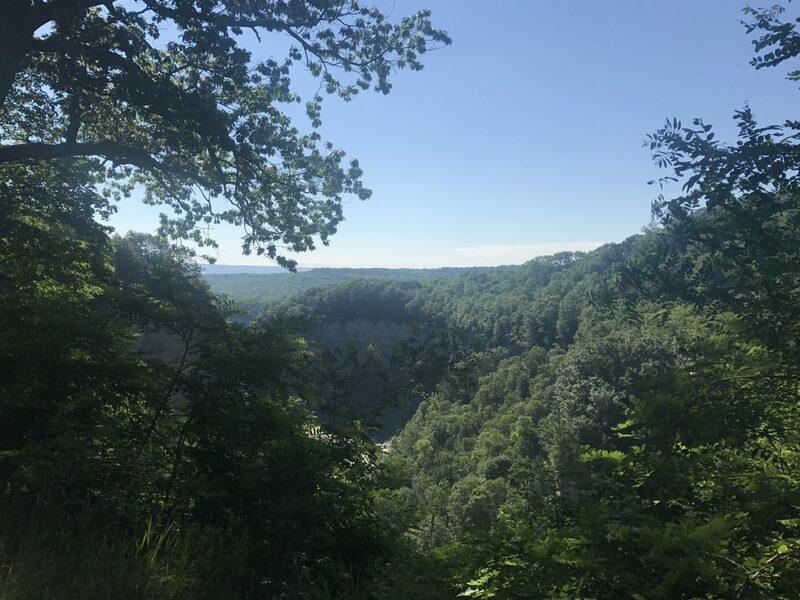 The Genesee River flows through the gorge and there are roughly 66 miles of hiking in between the 28 trails in the forested park. You can view three major waterfalls here between cliffs that reach up to 600 feet in some areas. Somewhat of a rainbow junkie…couldn’t help but walk on one! 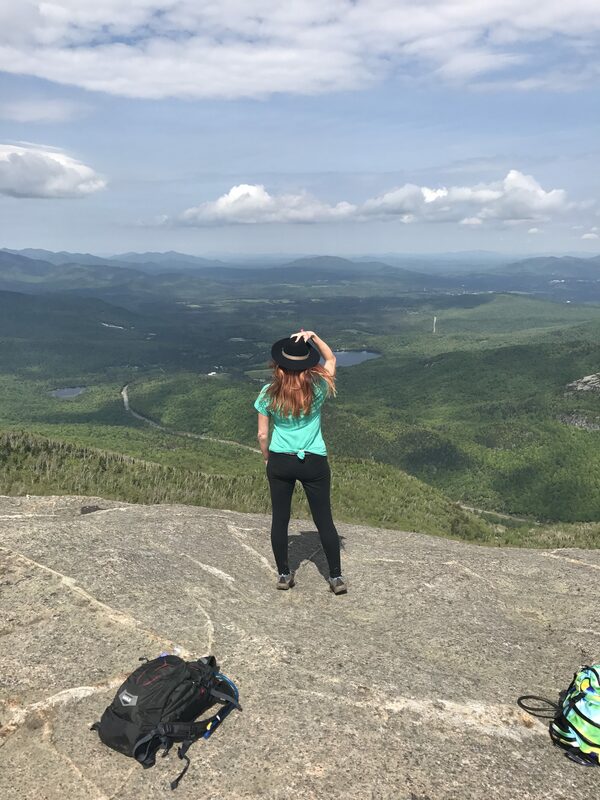 The view on the Gorge Trail speaks for itself. Perhaps the most famous image though is of the Portage Viaduct that was built in 1875. This is a bridge framed with iron and steel and is 820 ft long and 245 ft tall at its highest point and runs above the river. Unfortunately, they were performing some construction on the trails the day we went (our luck) right where we’d have to be to get to the best viewing area of the bridge. However, since there are about a million other equally awesome views here, our disappointment about the bridge didn’t last all that long. Green leafy views for days. Also, don’t sleep on this spot in the Fall! There was A LOT of walking this day. We branched out a little into other trails that connect off of the one we set out on. We actually all reached a point where we were constantly tripping and stubbing our toes on rocks because neither of the three of us could pick up our feet anymore. We just didn’t want to stop! FYI it’s okay to laugh at your friends when they trip and are not SERIOUSLY injured. I would advise maybe being a little smarter than us and stopping before your body reaches this point; but not too much sooner! The trails are not super difficult, there are some slopes that may be a little challenging but nothing unmanageable. This was another adventure where we were home by dinner time just proving there’s always time to get out and explore. 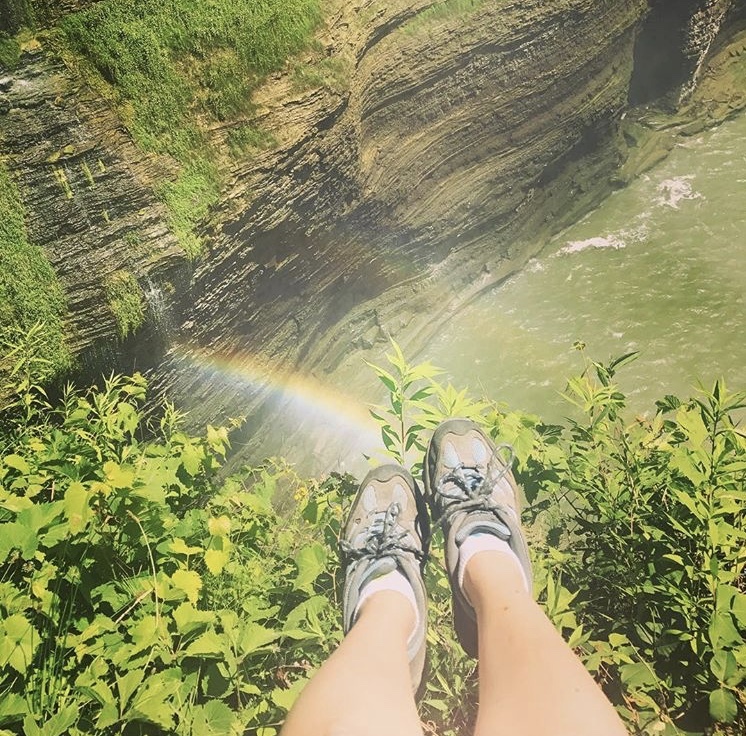 Next Post Finger Lakes Weekend Pt 1 / Watkins Glen State Park / If You Can’t Em, Join Em! Letworth is also high on my list. It’s definitely too far for a day trip for me, but definitely doable for an overnight or weekend. My family always talks about going there growing up, and I can’t believe I’ve not been there -not that I recall at least, though there may have been some really long ago detour on a trip to Buffalo that I’m forgetting. It’s so so pretty! We’ll have to go sometime you’re in Buffalo!! Also, I cannot spell. <–Letchworth. 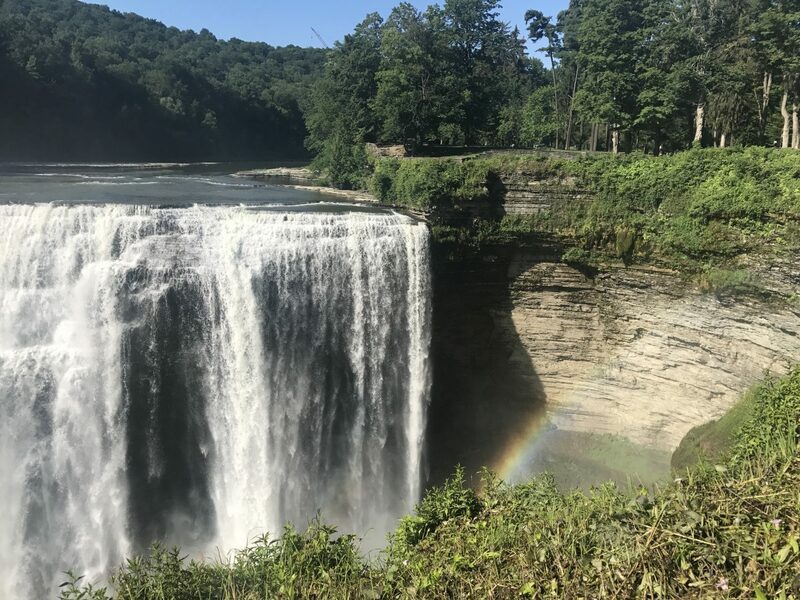 It has been a long time since I have been to Letchworth – and I definitely don’t remember all of the great views that you got – but your blog certainly makes me think that I would like to go back. It’s for sure one of my favorite WNY spots! Incredibly beautiful!!!!! I’m going back there after many years.